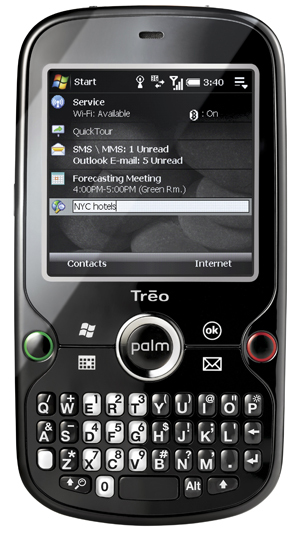 The Palm Treo Pro is aÂ Windows Mobile 6.1 phone with tri-band 3G, Wi-Fi and GPS with a 320×320 touchscreen. It comes equipped with a 400MHz processor and 128MB of RAM. Word is they’re only selling it unlocked through palm’s online store for $549 in the fall.